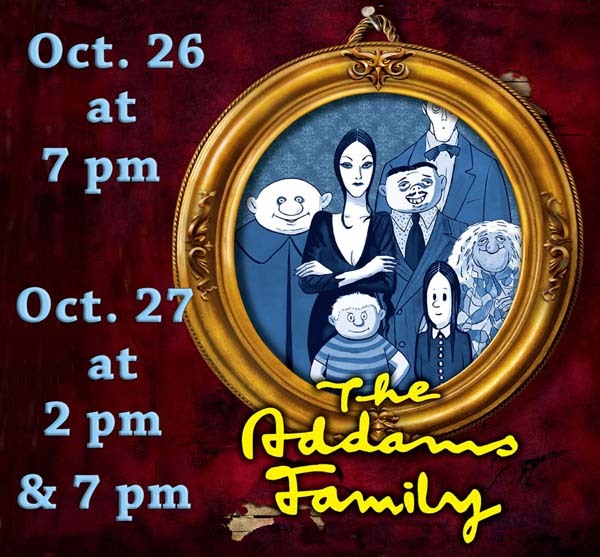 In this original musical comedy, the ghoulish Addams family is put to the test when outsiders come to dinner, hurling Gomez, Morticia, Wednesday, Pugsley, Uncle Fester, Grandmama and Lurch headlong into a night that will change the family forever. Music and lyrics by Andrew Lippa and the book by Marshall Brickman and Rick Elice. The show is based upon The Addams Family characters created by Charles Addams in his single-panel gag cartoons, which depict an American family with an affinity for all things macabre.